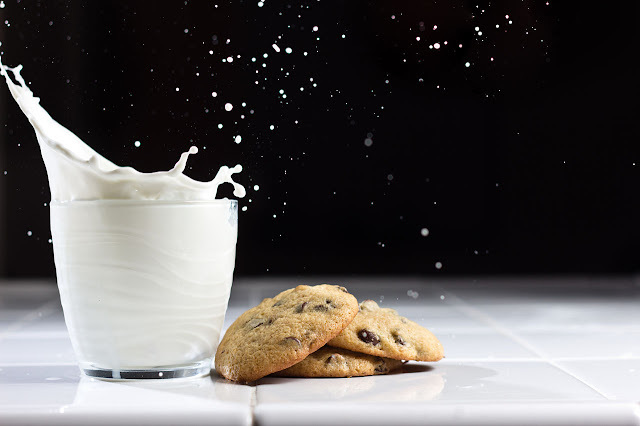 So, when is skim milk not skim milk (Florida answer, please)? When it's skim milk, of course! "Let me ‘splain… No, there is too much. Let me sum up." Once, there was a little dairy in the state of Florida called the Ocheesee Creamery that sold good, old fashioned, healthy, all-natural skim milk. And there was much rejoicing. But then one day the Florida Milk Police (FMP) swooped in and informed them that their skim milk could no longer be called skim milk. It would have to be called something like "I Can't Believe It's Not Skim Milk" instead. Milk from which the cream has been skimmed. Milk from which the cream has been skimmed AND some vitamin A has been added." Mary Lou, the owner of Ocheesee Creamery, was nonplussed. But, quickly recovering her wits, she mounted a classic David vs. Goliath court battle, from which she has just emerged triumphant. Florida still holds that theirs is the one, true, and immutable definition of skim milk. And Mary Lou has offered to add, "no vitamins added" to the label. The Milk Police are mulling that compromise over.